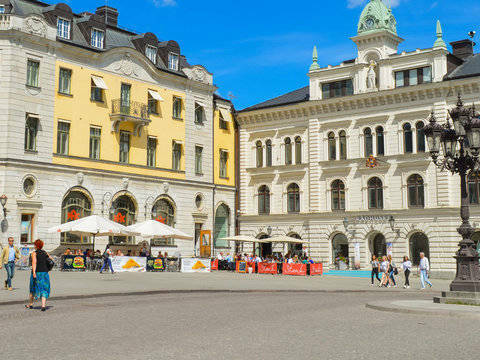 With an urban population of about 340,000 people, Malmö ranks as Sweden’s third-largest city behind Stockholm and Gothenburg. And don’t overlook its smaller neighbour Lund, which is home to Scandinavia’s arguably oldest university. Malmö is the largest city in the Scania (Skåne) region, Sweden’s southernmost province. The city is located on the Baltic Sea coast right opposite Denmark. The Öresund bridge, opened in 2000, connects Malmö with the Danish capital, Copenhagen - a fact which many commuters exploit by living in Malmö and working across the border. For instance, Forbes identified Malmö as the 4th most innovative city in the world, largely thanks to its impressively high ratio of patents per inhabitant. Malmö has also been ranked the world’s 6th most bike-friendly city. No surprise there, given that the world’s #1, Copenhagen, is just across the water! Ideal conditions for students that prefer the cheap and healthy way to get from A to B. In the European Commission’s “Quality of life” survey, Malmö residents are among the happiest in the continent: Regularly, 95% and more report being “satisfied” or “very satisfied” with their life. Given that around 40% of Malmö’s population are foreign-born, there must be something magical about the city! In Malmö, there are two institutions of higher education. At Malmö University, you can study anything from Biomedicine to Urban Studies, with more than 20 different English-taught Bachelor and Master programmes available. Malmö University is a relatively young institution, with more than 24,000 students. The World Maritime University has its headquarters and main campus in Malmö. They offer specialised postgraduate programmes in Maritime Affairs and Maritime Law. Lund, home of Lund University, is located just 15 kilometers to the North-East of Malmö. 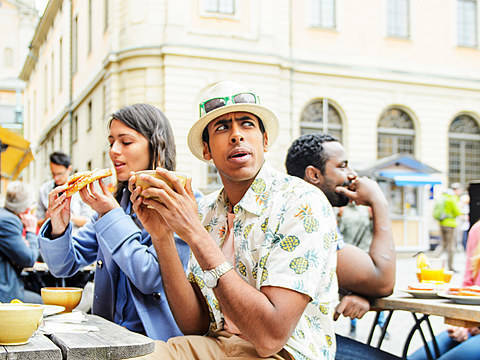 Lund University - which is celebrating its 350-year anniversary over a span from 2016 to 2018 - is frequently found near the top of international rankings, and offers dozens of degree programmes in English. 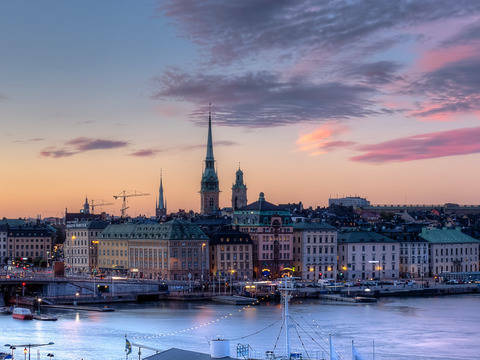 Swedes are usually very proficient in English, and Swedish companies - due to their comparably small domestic market - are usually making efforts to build their business internationally. Hence it is very possible to get a job without speaking Swedish. Nonetheless, speaking the language will be a big advantage when job-hunting after graduation. Given Malmö’s proximity to Copenhagen, you may also consider seeking a job in Denmark, if your residence permit allows for it. Malmö and Lund have a network of buses. Within each city, however, you will often prefer to rely on your bike or feet, because distances are short. By train, Malmö and Lund are only 10 minutes apart. That means you can easily live in Malmö and study in Lund, or the other way around. Malmö itself has a tiny airport which mostly covers domestic Swedish destinations, plus a range of Eastern European cities serviced by WizzAir. In almost all cases, however, it will be more convenient to fly into Copenhagen’s airport just across the border in Denmark and then travel onwards by train or bus. CPH is directly connected to well over a hundred destinations worldwide.